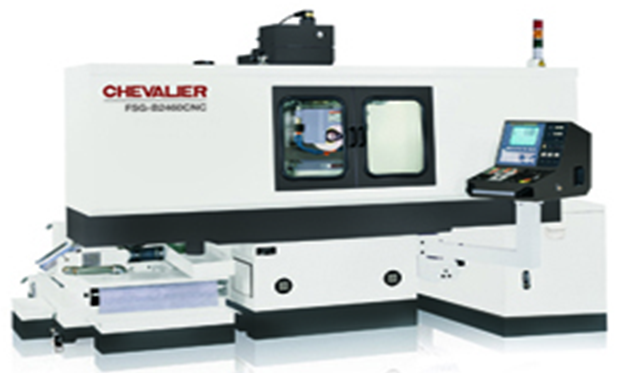 The FSG-H/B818CNC series are high-precision, multi-purpose CNC hydraulic or ballscrew profile grinders. The series features a column and wheelhead that traverse on precision roller bearings and hardened and ground guideways that are pre-loaded and driven by a precision ballscrew, providing excellent rigidity and precise positioning. Table Size 8" x 18"
Maximum Longitudinal Trave 25 1/2"
Grinding Wheel 12" x 1 1/4" x3"